Dr. Jay Baron is the former president and CEO of the Center for Automotive Research (CAR).Jay was a founder of the organization when CAR was formed as an independent non-profit in 2003. Under Jay’s leadership, CAR continues to be a preeminent resource of objective and unbiased information regarding the North American automotive industry. With Jay’s oversight CAR can offer a comprehensive perspective on all the relevant aspects of current or proposed actions that may impact the automotive industry, and is a recognized resource for the North American automotive industry, providing assistance, improving its technological competitiveness, and maximizing the economic impact to the U.S. economy. Prior to the formation of CAR, Jay was an associate research scientist at the University of Michigan. While there, he developed new tooling tryout techniques to accelerate new vehicle launches while improving automotive body quality and reducing cost. He introduced new analysis methods for assessing the correlation between tryout, stamping, and body assembly processes. 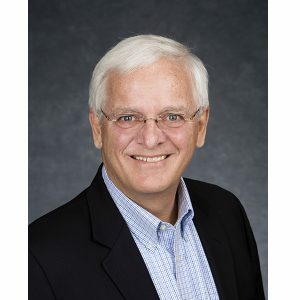 Jay also led several global benchmark efforts for various technologies, such as flexible manufacturing, laser welding, high-strength steel, weld-bond adhesives, low-volume tooling design and lightweight materials. He has studied engineering and manufacturing methods used by U.S., European and Asian automotive manufacturers focusing on design, fabrication, and assembly of body sub-systems. Jay has a Ph.D. and a master’s degree in industrial and operations engineering from the University of Michigan and an M.B.A. from Rensselaer Polytechnic Institute.